How did you get started playing clarinet? When I was young, my sister and I were training as figure skaters. My first routine using music was set to Sibelius’ “Finlandia” and I remember being mesmerized by the sound of the orchestra. When I asked my parents if I could play a band instrument i was given the option of trumpet or clarinet since they were both instruments that were in the family. It was an easy choice between the two! When did you know you wanted to be a musician? I knew I wanted to make my career in music on the first day I played in an orchestra. It was the Phillips Academy Summer Session orchestra in the summer of 1989. We played Mendelssohn’s Third Symphony and Mahler 1. I thought I had died and gone to heaven. I had played in wind ensembles already and though they were wonderful, the sound of the symphony orchestra is what sealed the deal for me. Ironically, I haven’t ever worked full-time in a professional orchestra. What's your favorite thing to do (or eat) in Chicago? Without question, my favorite cuisine in Chicago is Indian. Devon Street is crowded with a fantastic variety of eateries and grocers. When I’m not gorging on dosai, I love to spend time along the lake near my home and at Pritzker Pavilion in Millennium Park for outdoor performances. During the other 11 months, I’m probably drinking coffee on the couch satisfying my irrational HGTV addiction while avoiding falling ice. What's playing on your iPod right now? My iPod? Goodness, I think that sits in a drawer with my Walkman somewhere! But seriously, it’s a pretty decent mix of traditional symphonic repertoire, wacky contemporary chamber music, and a substantial helping of soul-elating disco. Where can we find you when you're not working? San Francisco. I left my heart there years ago and I’m still trying to find it. 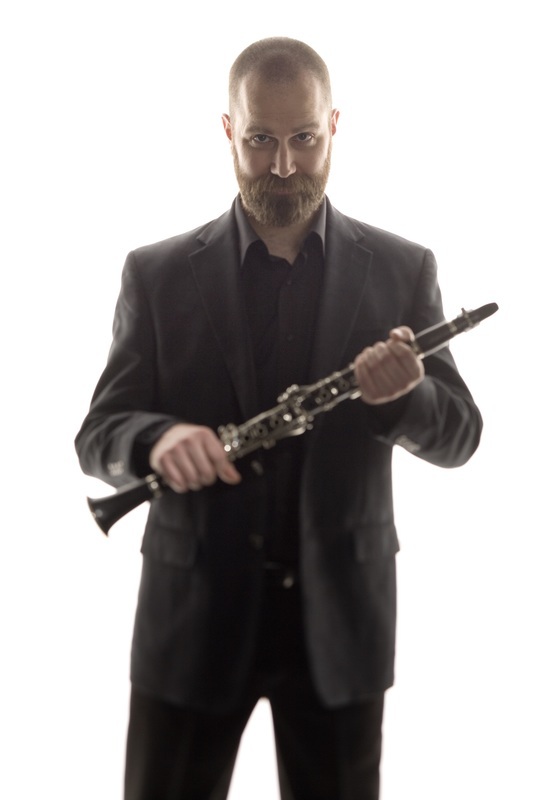 ​Clarinetist and bass clarinetist Michael J. Maccaferri is a current member of the four time Grammy Award winning new music ensemble Eighth Blackbird. A native of Plymouth, Massachusetts, Michael studied at the Walnut Hill School, Oberlin Conservatory of Music, Cincinnati College-Conservatory of Music and Northwestern University. His teachers have included Lawrence MacDonald, Ronald Aufmann and J. Lawrie Bloom. While at Oberlin, Michael co-founded Eighth Blackbird, one of the leading commissioners and performers of new music today. Since 1996, when the group won the Fischoff Chamber Music Competition, Eighth Blackbird has been widely regarded as one of the foremost proponents and commissioners of contemporary music, collaborating with luminaries such as Steve Reich, Frederic Rzewski, Bruno Mantovani, Aaron Kernis, Stephen Hartke, Jennifer Higdon, Steve Mackey and George Perle. The group's work has been recognized with numerous awards and prizes including the Naumburg Chamber Music Award, ASCAP Award for Adventurous Programming, and the American Music Center Trailblazer Award. As an educator Maccaferri has participated in long and short term residencies at universities and conservatories around the world, including the University of Chicago, Oberlin Conservatory, Queensland Conservatorium, University of Michigan, Colburn School, and Curtis Institute of Music and is currently on faculty at the University of Richmond. With Eighth Blackbird, Michael has performed as soloist with leading orchestras such as the Cleveland Orchestra, Toronto Symphony and the Atlanta Symphony, and at major venues around the world, including Carnegie Hall, Barbican, Sydney Opera House and the Kennedy Center. Michael has also performed with the Hong Kong Philharmonic and the Florida Orchestra and serves as bass clarinetist with the Cabrillo Festival Orchestra.